If you're asked to name an interesting marketing campaign, you're probably going to list off the latest controversial TV ad or celebrity media stunt. While these are effective advertising strategies, they're not necessarily interesting. Does anyone really care that Michael Jordan wears Hanes? Interest in your firm can be as simple as just being who you are. I know a lawyer who's an avid motorcyclist; he's been riding for 20 years. His practice areas include motorcycle injuries. See a connection there? This lawyer likes to weave in his personal experience whenever he's working the marketing angle of his practice. Clients trust him because he has first-hand experience in what he's marketing and he's one of them. If you can make what you're offering interesting to the client, they're going to pay attention. A mother with a newborn suffering from a wrongful birth defect is going to pay a lot more attention to an attorney who's marketing themselves as a specialist in infant medical malpractice. You'll be even more interesting to her if you can site specific cases you've handled that relate closely to her situation and have community involvement in local children's hospitals or similar non-profit organizations. 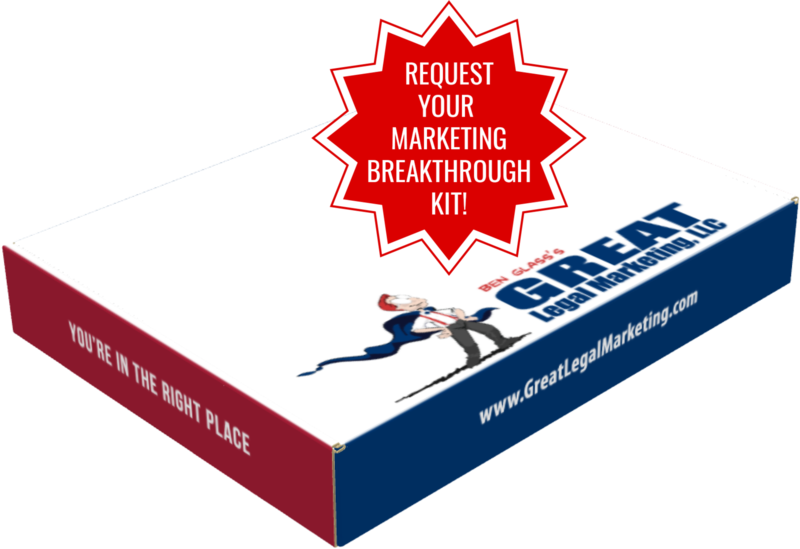 I talk more about running a comprehensive, ethical and interesting legal marketing campaign in my article in our library. There's a lot to consider when developing your marketing campaign and the more effort you put in, the more return you'll get out. There's a lot more to learn if you want to build your practice full of happy clients, reasonable hours and a 6-figure salary. Start by requesting a FREE copy of my marketing CD and report. Consider it a step toward transforming your law firm into a successful and highly profitable business - (703) 591-9829.